The option of using microbes in the remediation of polluted sited have received wide acceptance due to its sustainability and environmental friendliness. This study is aimed at using the kinetic parameters (Vmax and Km) to assess the effect of organic and inorganic nitrogen sources on the performance of Pseudomonas sp., during the remediation of crude oil polluted sites. The rate of crude oil breakdown was assessed by determining the total petroleum hydrocarbon in the soil (after contaminating the soil with different percentages of crude oil) daily for 14 days. The experiment was repeated for different nitrogen sources (Azotobacter vinelandii, (NH4)2SO4, NaNO2 and NaNO3). The results of the experiments showed that the rate of breakdown of crude oil increases with increase in crude oil contamination in the different nitrogen sources except for the nitrate and the nitrite groups, where the rate reduced at 10% crude oil contamination. It was also observed that the introduction of various nitrogen sources decreased the Vmax and the Km. Pseudomonas sp., during the breakdown of crude oil showed a decrease in Vmax from 0.236±0.018-0.090±0.009, 0.137±0.005, 0.106±0.011 and 0.116±0.010 for the introduction of Azotobacter vinelandii, (NH4)2SO4, NaNO2 and NaNO3, respectively, 0.521±0.194. This shows that the introduction of the nitrogen source increase the affinity of the organism for crude oil. A. Oje Obinna, N.E. Onwurah Ikechukwu, S. Ubani Chibuike and Nweke Alexandra, 2015. Effect of Different Organic and Inorganic Nitrogen Sources on the Kinetics of the Breakdown of Crude Oil Using Pseudomonas. Journal of Biological Sciences, 15: 16-24. Pollution is the contamination of the environment with substances and in doses that are harmful to the body. Environmental pollution caused by crude oil spills is a major problem in oil producing country as Nigeria (Agbogidi and Eshegbeyi, 2006). Petroleum is the worlds leading energy fuel but the enormous scale of the petroleum industrys operation has inevitably created a new set of difficult environmental problems as being experienced today in the Niger Delta region of Nigeria (Ekanem et al., 2010; Ugbomeh and Atubi, 2010; Eneh, 2011; Ojimba and Iyagba, 2012). Oil spilliage which is caused by exploration, exploitation, storage and transportation even vandalization and bunkering has lead to the pollution of the environment (Nicolotti and Egli, 1998). The polluted environment is therefore, not useful for agricultural purposed both farming and fishing as, the case may be. This also affect the microbial flora thereby reducing microbial population (Baker, 1970; Mackay, 1991; Siddiqui and Adams, 2002; Lundstedt, 2003). Pseudomonas sp. are hydrocarbonoclastic bacteria that are naturally endowned with the ability to breakdown compounds with carbon backbone chain (Mansur et al., 2014). Because of this ability, Pseudonmonas sp. have been implicated in many disease conditions (Musefiu et al., 2014), Pseudomonas sp. also possess the ability to solubilize phosphorus from the soil (Yasser et al., 2014; Sarker et al., 2014) and therefore, utilize it for cellular activity and also make it available for plants. It has been reported also that some species of Pseudomonas sp. posses that ability to denitrify nitrate in the soil (Jangiam et al., 2013) and release them as free nitrogen into the atmosphere. Many bioremediation studies have proven that Pseudomonas sp. can breakdown straight chain hydrocarbons (Fathepure, 2014; Sharma et al., 2014), which is a major component of crude oil but finds it fairly difficult to breakdown Poly Aromatic Hydrocarbons (PAHs) which are recalcitrants. For Pseudomonas sp. to carry out their functions, they need to be a supply of carbon sources (in most cases the pollutants serves this purpose), phosphorus source (which the organism can get by phosphate solubilization of soil) and Nitrogen. Although some Pseudonmonas sp. are known to contain nif gene for nitrogen fixation (Yan et al., 2008) , most a times, these genes are not expressed in the organisms. Therefore, for Pseudomonas to work efficiently in the environment, nitrogen must be supply to the organism. This study is therefore, aimed at determine the best form in which nitrogen should be supplied (both organic and inorganic forms) for optimum activity organism using the Vmax, Km and the Vmax: Km ratio. Crude oil: The Crude oil used was gotten from the Directorate of Petroleum Resources Port-Harcourt, Rivers State Nigeria. Soil: The soil samples that was used in this study were obtained from the Agric Farm, Department of Agriculture, University of Nigeria, Near Green House. Microorganism: Two microorganisms were used in the course of the research. The Pseudomonas species was gotten from the culture collection Center Department of Microbiology, University of Nigeria, Nsukka while the Azotobacter vinelandii was isolated from the soil around the postgraduate laboratory, Department of Biochemistry, University of Nigeria, Nsukka using Azotobacter vinelandii specific media. Preparation of Broth for the isolation Azotobacter vinelandii using specific media: The media for the isolation of Azotobacter vinelandii media was prepared as follows; Sodium benzoate (1.0 g), Di-Potassium hydrogen phosphate (K2HPO4) (0.5 g) and Mannitol (0.5 g) were put in a 1 L conical flask and small quantity of distilled water was added and the volume was brought to 999 mL the mixture was thoroughly mixed and autoclaved for 15 min at 15 psi pressure-121°C. Cool to 45-50°C after that, ethanol (1 mL) was aseptically added and then aseptically distributed into sterile tubes or flasks. Preparation of trace element solution: The trace element was prepared by adding Boric acid (H3BO3) 0.232 g, Zinc sulphate heptahydrate (ZnSO4·7H2O) 0.174 g, Ferrous Ammonium sulphate (FeSO4(NH4)2SO4·6H2O) 0.116 g, Cobalt (II) Sulphate heptahydrate (CoSO4·7H2O) 0.096 g, Ammonium molybdate tetrahydrate ((NH4)6Mo7O24·4H2O) 0.022 g Copper sulphate pentahydrate (CuSO4·5H2O) 8.0 mg and MnSO4·4H2O 8.0 mg were added to a 1 L conical flask and made up to make with distilled water. Determination of the remaining Total Petroleum Hydrocarbon (TPH): One gram of soil was put in a test-tube and ten milliliter (10 mL) of Chloroform/Ethanol mixture (1:1) was added. The mixture was agitated for 5 min and then allowed to stand for 10 min. The sample was then filtered and the absorbance of the filtrate was taken at 520 nm using chloroform/Ethanol mixture (1:1) as a blank. The quantity of crude oil was estimated using a crude oil standard curve. Determination of degraded TPH will be done by calculation: The amount of crude oil degraded was estimated by simple calculation. This was done by subtracting the initial concentration of crude oil from the final concentration crude oil. Two hundred grams of soil was put in a conical flask and groups 4-5 was impregnated with 10 mL of 0.1 M of their salt solution, the soil was mixed very well to ensure proper spreading of the salts. It was then autoclaved to kill the organisms present in the soil and allowed to cool to room temperature. After that 1 mL of the microbial broth containing Pseudomonas sp. Except for the group 3 that contain 0.5 mL of each organism. After stirring, the experiment was monitored for two weeks. Statistical analysis: The results of the experiments were analyzes statistically and are presented as Mean±SEM, the linear regression model was used to analyze the rate of breakdown, while the non-linear regression model was used to determine the Vmax and the Km the level of significant was determined at p<0.05. 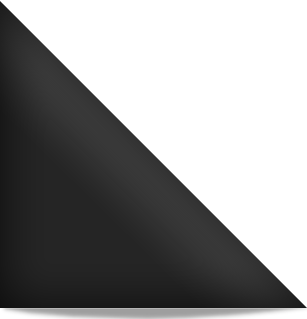 The graphpad prism v 6 was used for the analysis. The result in Fig. 1-6 show the graphs for the breakdown of crude oil using different nitrogen sources. All the graphs show decreases in crude oil (TPH) as time increases in other words, it was observed that TPH decreased with time. The curves in Fig. 2 were observed to tilt more to the horizontal signifying very little decrease as the time increases. The linear regression was used to determine the slope of the graphs, which represent the rate of degradation of crude oil will the R-square value was used to identify how accurate (perfect) the curve is the data was presented in Table 1. The result in table 1 shows the rate of degradation crude oil as obtained from Fig. 1-6. The equation of the line of best fit was determined and the slope which is the rate of degradation. The R-square values were also seen to be more than 0.7 or one could say that the curves were more than 70% perfect. The negative values of the slope simple shows the rate of reduction. It was also observed that the value of the slope increases with increase in the percentage of crude oil with except in the group containing Azotobacter vinelandii which fluctuate as the percentage of crude oil increases. Also the group containing Nitrite and nitrate also showed a decrease in the slope after 5.0% crude oil contamination. To determine the Vmax and Km, the graph of rate of degradation (slope) against substrate concentration were plotted and represented in Fig. 7, 9, 11, 13, 15 and 17. Figures were observed to be sigmoid in shape according to the Michealis -Mentens pattern, Fig. 9 falling out of place. due to the fact that the points in the graph could not converge. In order to linearize the curves, a plot of the inverse of the rate of degradation against the inverse of the substrate concentration was done and represented in Fig. 8, 10, 12, 14, 16 and 18. The values of Vmax were obtained as the inverse of the value of the rate when substrate concentration is zero, while the Km were obtained as the negative of the inverse of the value of substrate when the rate is zero. The values of Vmax and Km were represented in Table 2. The Table 2 shows the result of the Vmax and Km of Pseudonmonas sp. and the various amendment. The result reveals that the introduction of nitrogen sources reduced both the Vmax and Km. Azotobacter vinelandiis Vmax and Km were not determined because the point were not converging and the line of best fit gave an R-square value of 0.039, which means that the curve is about 3.9% perfect. The consortium of Pseudomonas sp. and Azotobacter vinelandii showed lowest Vmax value (0.090±0.009) and highest Km value (0.584±0.239) in the groups containing nitrogen sources. The Vmax: Km ratio showed that Ps+NO2>Ps+NH4>Ps+NO3>Ps>Ps+Az. Pseudomonas sp. has been employed in the bioremediation of crude oil polluted environments (Onwurah et al., 2007). One of the challenges facing microorganisms during bioremediation is the availability of macro-nutrients, such as; nitrogen and phosphorus (Bahadur et al., 2014) Pseudomonas sp has the ability to solubilize phosphorus in the soil (Delgado et al., 2014) but its major challenge is the availability of nitrogen. Pseudomonas sp. has also the ability to depend on crude oil for energy and biomass production (Goteti et al., 2014). When, nitrogen is not available in the soil, the organism begins to decrease in population, because of the inability to synthesize nucleotides and amino acids of which nitrogen is a major component. Therefore to sustain the survival of the Pseudomonas in polluted sites, nitrogen sources need to be introduced, since the pollutants (crude oil) acts as a carbon source (Palanisamy et al., 2014). This present study sets out to find the effect of different nitrogen sources on the biodegradation ability of Pseudomonas sp. Different nitrogen sources both organic and inorganic was used for this purpose. The graphs of the concentration of crude oil against time which was used to determine the rate of degradation showed that Azotobacter vinelandii is not a good degrader of crude oil when used alone. In Fig. 2, the curves in the graph were tending towards the horizontal, when compared with the others. It was generally observed that the rate of breakdown of crude oil increases with increase in the concentration of crude oil, with exception of Azotobacter vinelandii alone, which did not show any pattern. Also the presence of nitrate and nitrite showed a decrease in the rate of degradation from 5.0% crude oil contamination. On determining the Vmax and Km of the individual groups, the group containing Azotobacter could not converge so it was practically impossible to determine the Vmax and the Km for the organism alone. In addition, the line of best fit in figure 10 had an R2 value of 0.039, which could be interpreted as 3.9% accurate. This also support the claim that Azotobacter even though it breaks down the crude oil to some extent, is not an effective degrader. The results showed that the introduction of nitrogen sources cause a reduction in Vmax and Km of the organisms in all the groups. This showed that to some extent, the introduction of nitrogen causes some level of inhibition although, it does not terminate the organisms. The decrease in Km, when nitrogen source was introduced showed that nitrogen on the other hand increases the affinity of the organism for the substrate (crude oil). From the result, Pseudomonas with nitrite showed the lowerest Vmax value (0.106±0.011) and Km value (0.151±0.089). Since, the decrease affects both Vmax and Km by different degrees, it becomes necessary to use another parameter that will cushion the effect and give a better comparable parameter. In this regard, the Vmax: Km ratio was determined. This ratio shows the level of dilution per quantity of substrate that will produce maximum or optimum activity. In other words, the lower values of this ratio showed that optimum activity could be obtained even at higher concentration of the substrate (crude oil) and this means that the organism with low Vmax: Km ratio can also do better at high concentration of crude oil. In this experiment, the order of the ratio is Ps+Az>Ps>Ps+NO3>Ps+NH4>Ps+NO2, making the consortium of Pseudomonas sp and Azotobacter vinelandii a better option rather than the use of in organism sources of nitrogen. The argumentation of the breakdown of crude oil by Pseudomonas with an organic nitrogen source, such as; Azotobacter vinelandii was shown to produce better results. In addition, the sustainability of the consortium and its environmentally friendliness have made the consortium a better choice over the inorganic nitrogen sources that have the ability to increase cost and introduce other pollutant into the environment. Agbogidi, O.M. and O.F. Eshegbeyi, 2006. Performance of Dacryodes edulis (Don. G. Lam H.J.) seeds and seedlings in a crude oil contaminated soil. J. Sustainable For., 22: 1-13. Bahadur, I., V.S. Meena and S. Kumar, 2014. Importance and application of potassic biofertilizer in Indian agriculture. Int. Res. J. Biol. Sci., 3: 80-85. Baker, J.M., 1970. The effects of oils on plants. Environ. Pollut., 1: 27-44. Delgado, M., J. Mendez, R. Rodriguez-Herrera, C.N. Aguilar, M. Cruz-Hernandez and N. Balagurusamy, 2014. Characterization of phosphate-solubilizing bacteria isolated from the arid soils of a semi-desert region of North-East Mexico. Biol. Agric. Horticult., 30: 211-217. Ekanem, S.A., B.J. Ejue, P.B. Amimi and R.A. Adalikwu, 2010. Living with oil: Towards an ethics of the environment in the Niger Delta. Afr. Res. Rev., 4: 17-30. Eneh, O.C., 2011. A review on petroleum: Source, uses, processing, products and the environment. J. Applied Sci., 11: 2084-2091. Goteti, P.K., S. Desai, L.D.A. Emmanuel, M. Taduri and U. Sultana, 2014. Phosphate solubilization potential of Fluorescent Pseudomonas spp. isolated from diverse agro-ecosystems of India. Int. J. Soil Sci., 9: 101-110. Jangiam, W., J. Kalaya and B. Phonyotin, 2013. Isolation of Pseudomonas strain EM5 with an efficient nitrate-degrading activity and the optimum conditions for nitrate biodegradation using immobilized cells. J. Sci. Technol. Humanit., 11: 105-115. Lundstedt, S., 2003. Analysis of PAHs and their transformation products in contaminated soil and remedial processes. Ph.D. Thesis, Department of Chemistry, Environmental Chemistry, Umea University, Umea, Sweden. Mackay, D., 1991. Multimedia Environmental Models: The Fugacity Approach. Lewis Publishers Inc., Chelsea, MI., USA. Mansur, A.A., E.M. Adetutu, K.K. Kadali, P.D. Morrison, Y. Nurulita and A.S. Ball, 2014. Assessing the hydrocarbon degrading potential of indigenous bacteria isolated from crude oil tank bottom sludge and hydrocarbon-contaminated soil of Azzawiya oil refinery, Libya. Environ. Sci. Pollut. Res., 21: 10725-10735. Musefiu, T.A., S.M. Olasunkanmi, A.T. Tope and A.M. Olutope, 2014. Sanitary and bacteriological studies of different aquatic environments in Ibadan, Nigeria. Food Public Health, 4: 82-86. Nicolotti, G. and S. Egli, 1998. Soil contamination by crude oil: Impact on the mycorrhizosphere and on the revegetation potential of forest trees. Environ. Pollut., 99: 37-43. Ojimba, T.P. and A.G. Iyagba, 2012. Effects of crude oil pollution on horticultural crops in Rivers State, Nigeria. Global J. Sci. Front. Res. Agric. Biol., 12: 37-44. Onwurah, I.N.E., V.N. Ogugua, N.B. Onyike, A.E. Ochonogor and O.F. Otitoju, 2007. Crude oil spills in the environment, effects and some innovative clean-up biotechnologies. Int. J. Environ. Res., 1: 307-320. Sarker, A., N.M. Talukder and M.T. Islam, 2014. Phosphate solubilizing bacteria promote growth and enhance nutrient uptake by wheat. Plant Sci. Today, 1: 86-93. Sharma, A., P. Kumar and M.B. Rehman, 2014. Biodegradation of diesel hydrocarbon in soil by bioaugmentation of Pseudomonas aeruginosa: A laboratory scale study. Int. J. Environ. Bioremediat. Biodegrad., 2: 202-212. Siddiqui, S. and W.A. Adams, 2002. The fate of diesel hydrocarbons in soils and their effect on the germination of perennial ryegrass. Environ. Toxicol., 17: 49-62. Ugbomeh, B.A. and A.O. Atubi, 2010. The role of the oil industry and the Nigerian state in defining the future of the Niger delta region of Nigeria. Afr. Res. Rev., 4: 103-112. Yan, Y., J. Yang, Y. Dou, M. Chen and S. Ping et al., 2008. Nitrogen fixation island and rhizosphere competence traits in the genome of root-associated Pseudomonas stutzeri A1501. Proc. Natl. Acad. Sci. USA., 105: 7564-7569. Yasser, M.M., A.S.M. Mousa, O.N. Massoud and S.H. Nasr, 2014. Solubilization of inorganic phosphate by phosphate solubilizing fungi isolated from Egyptian soils. J. Biol. Earth Sci., 4: B83-B90.